It is good to see Eric Pickles MP keeping the reinvigoration of our high streets on the front pages with yesterday’s announcement that “confusing and difficult car parking practices are undermining the economic vitality of the high street and tourist destinations”. Getting people to hit high street pavements and spend their money is vital – after all household consumption makes up around two-thirds of this economy. However Mr Pickles’ ‘solutions’ are based on anachronisms. Undoubtedly car users are important to high streets however we know from our research that it is public transport, not extra parking, that holds the key to bringing growth and prosperity to the high street – and in a more environmentally and socially friendly way to boot. As both Stephen Morris and Edward Funnell have pointed out on these pages this month cars and city centres don’t always mix. Congestion costs businesses money – at least £11 billion per annum in urban areas alone. Equally Ipsos Mori reveal 9 out of 10 people say that road traffic affects their quality of life and the positive impact of urban quality improvements on economic activity can be profound – a major study by Tim Whitehead, David Simmonds and John Preston has shown that retail footfall can be increased by 20 to 40% and retail turnover by as much as 25%. The government must also recognise that car users are not the only high street spenders. 1.4 billion shopping trips are already made by bus each year and these bus travellers make shopping and leisure trips to a value of £27 billion a year – £22 billion of which is spent in our towns and city centres. Equally a quarter of households have no access to a car making buses a vital lifeline, and more buses can have a major impact on making our towns and cities less congested and more pleasant places to live. 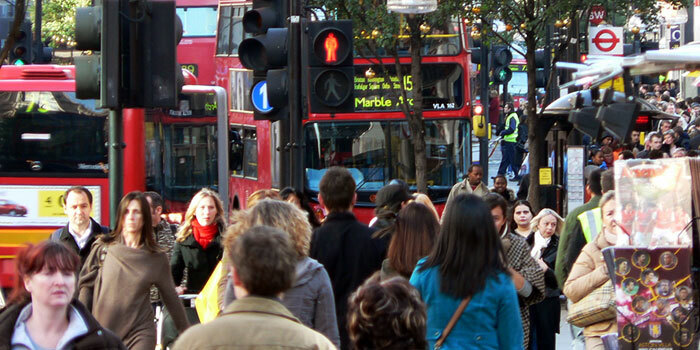 The Government have been repeatedly silent on the bus when talking about high street rejuvenation – this is confusing when we know 40% of shoppers access the high street by bus, compared with just 30% by car. This is a major and repeated omission, mirroring that of both the Portas Review and the Future High Streets Forum. Better bus services can help create the conditions for economic growth, policy makers should not continue to overlook the overwhelming evidence that buses are the key facilitator of high street revivification.